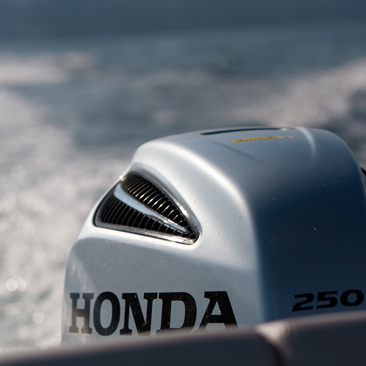 The BF250 outboard engine takes Honda into the next power range. 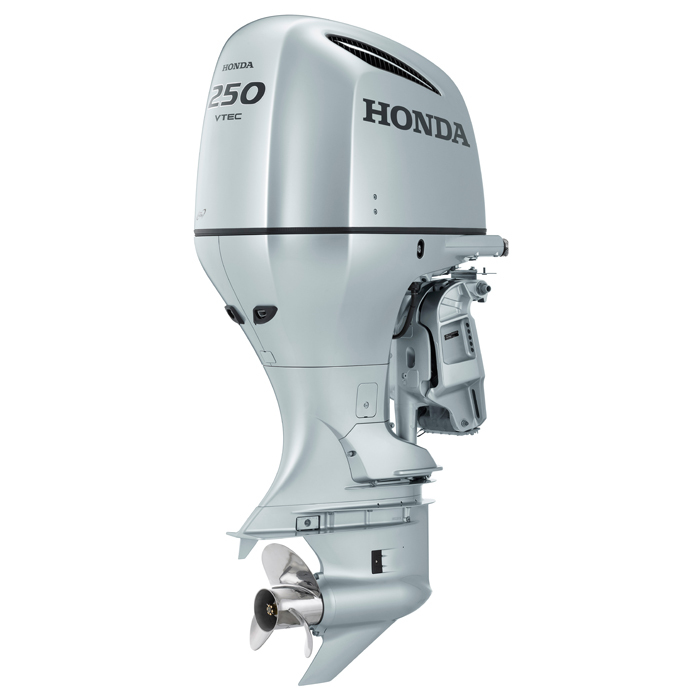 This flagship engine combines a new 3.6L, V6 EFI engine with the world's first direct air induction system in an outboard. 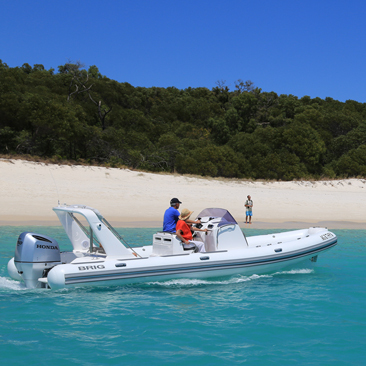 The BF250 features industry-first separate dual air circuits. The first is used to cool the engine where air is drawn into the front of the engine and circulated around critical engine components. A top mounted cooling fan draws cooling air over the alternator.The second intake circuit draws in cool air from the upper intake vents, separates out moisture, and then inducts it into the throttle body. This system provides cooler, denser air for better combustion as compared to conventional under-cowl induction systems.And Honda's Boosted Low Speed Torque improves acceleration at low speeds. 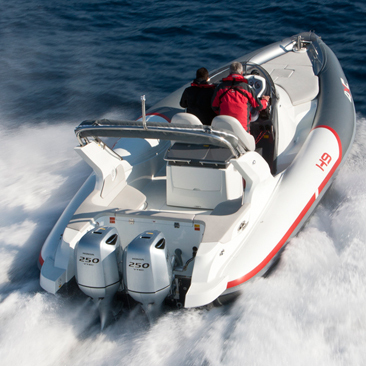 A quick movement of the throttle control activates the BLAST system, advancing the ignition timing aggressively. "Hole Shot" is vastly improved as more horsepower gets the hull up on plane quicker.